Although the previous kitchen worked well enough, it was quite outdated making the rest of the place feel a bit tired & run down. 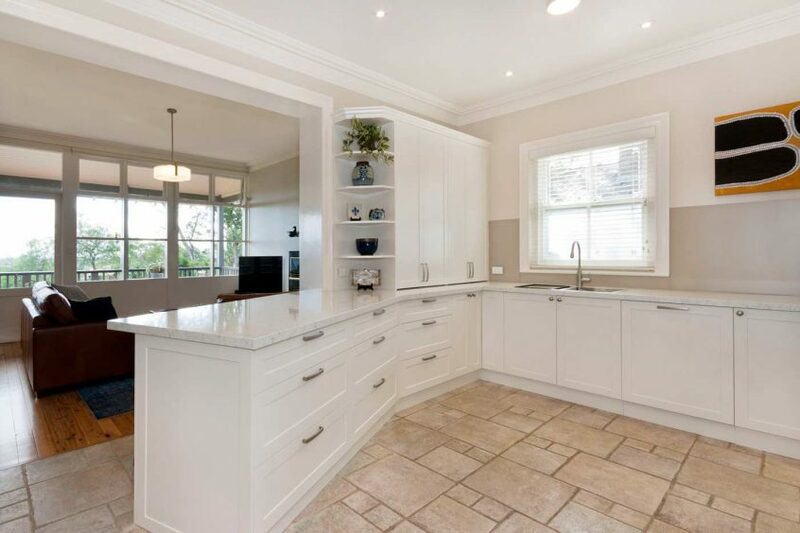 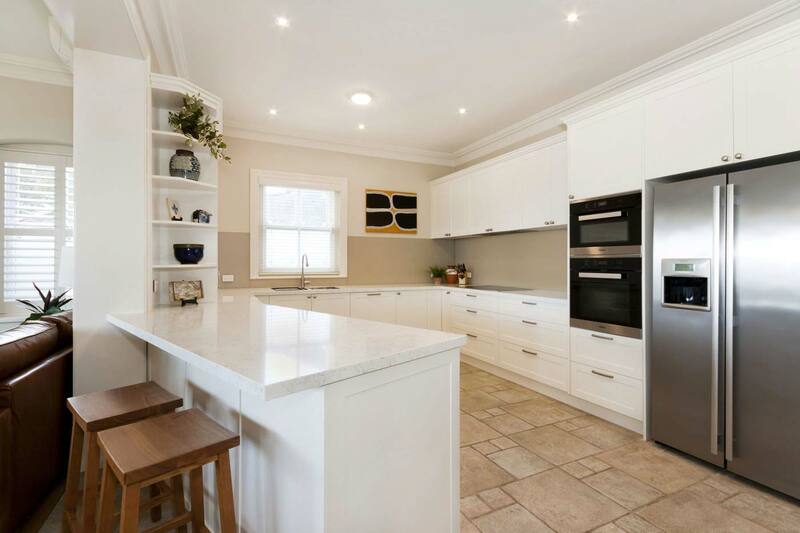 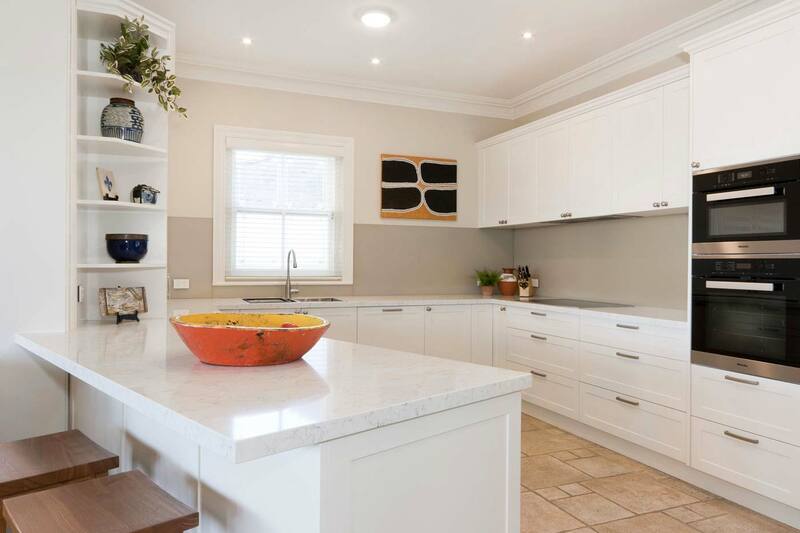 Replacing old finishes with new was all that was needed to breathe new life into this lovely Wollstonecraft home. 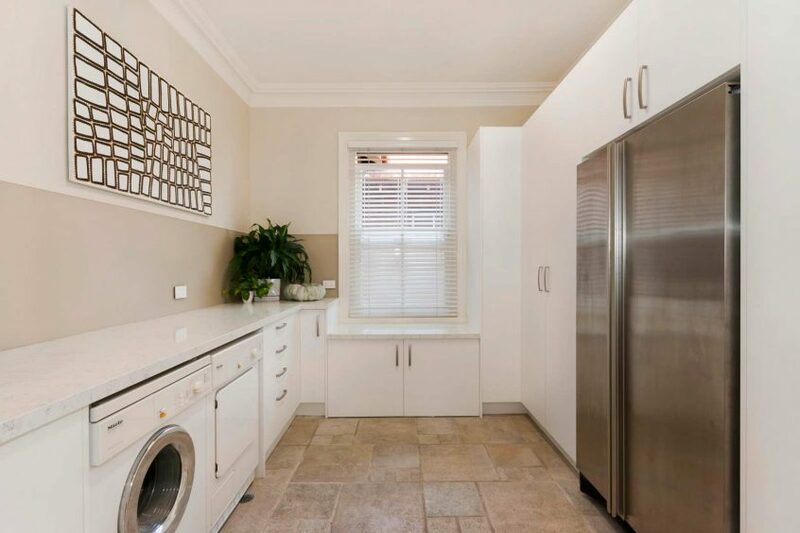 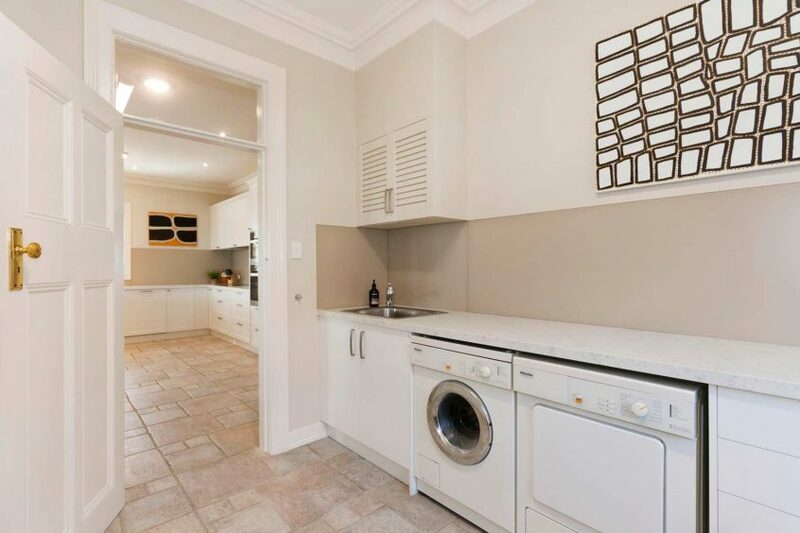 The owners wanted plenty of drawer space and somewhere to tuck away small appliances like kettle and toaster but still providing quick and easy access when needed. 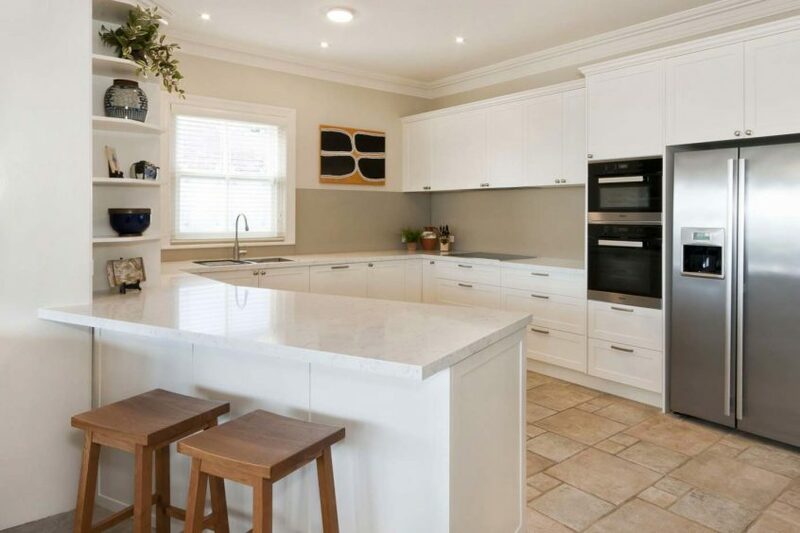 A double bi-fold wingline system in the corner took care of that, cleverly tucked behind a stack of open shelving to help soften the solid block of cabinetry on the bench. 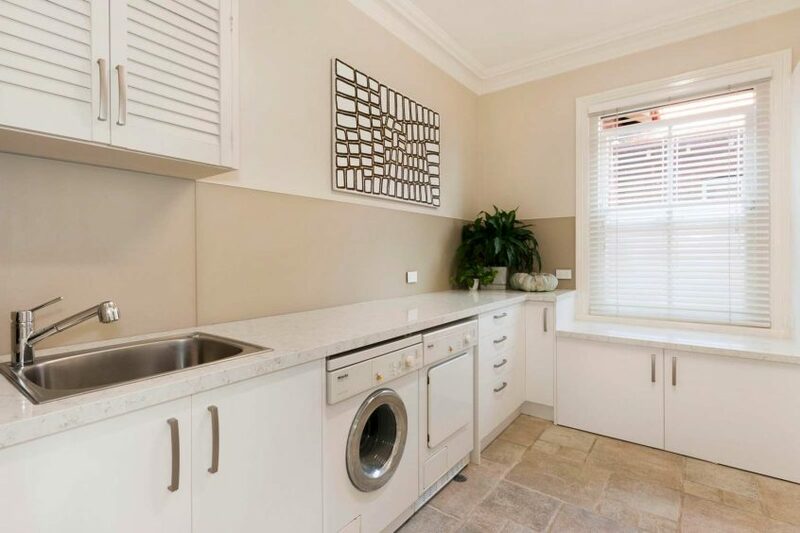 The back of this property has an outside covered deck with stunning views – by keeping the angle of the previous bench top the new kitchen maintained the perfect outlook. The laundry was also updated with similar colours and finishes as the kitchen for consistency.